I did what any sane person should do with a forced extended vacation. Once again, my solo status came in handy. In an amazing act of gracious charity, two families offered me shelter while I was stranded. The first few days I spent with in Geneva with an adorable, young American family. 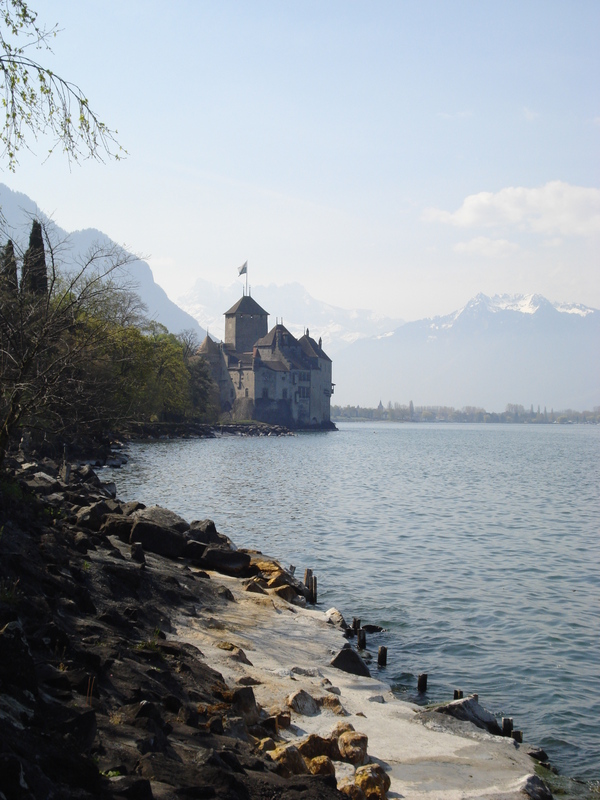 Then I headed over to the beautiful village of Montreux, on the other side of Lake Geneva (or, as I learned its called by everyone in Switzerland EXCEPT the Genevans, Lake Leman), on the edge of the Swiss Alps. It was in Montreux that I finally took the time to sit down and do the promised “ponder” about where my life was headed. Even though I had embarked on this trip hoping to find some clarity, I had deliberately let myself be distracted by the business of the trip, too afraid and confused to take the time to try and figure things out. However, sitting on the edge of the Lake, shadowed the Chateau du Chillion (immortalized by Lord Byron is his famous poem, The Prisoner of Chillion), and staring up at the Alps, peace had descended. My regular life seemed so far away. It was time. I knew that I wasn’t completely happy. I also knew that, since life was pretty good, I was a little crazy to not be happy. So what was it? What was holding me back? I started reflecting on all the pieces that made my life: my job, my living situation, my friends, my relationship with Allen, life in DC, my family, my goals. One by one, I slowly went through and tried to figure out the where the feeling of restlessness, the need for change, was rooted. As I sat on that bench by the lake, scribbling into my journal, all the thoughts that came into my head, I knew that I was at one of life’s turning points. This was my opportunity to either embrace fully where I was or to have the courage to make some big changes. It wasn’t going to be enough to sit and think about my situation while I was on the other side of the world. I was going to have to do something with my conclusions once I returned to DC. That was the scariest part of all. This entry was posted in 2010, Allen, Choices, DC, Switzerland and tagged Byron, Castle, Chateau, Chillion, Choices, Ideas, memoir, memories, perspective, ponder, self reflection, Switzerland, travel. Bookmark the permalink.